What is Art Journal Every Day? 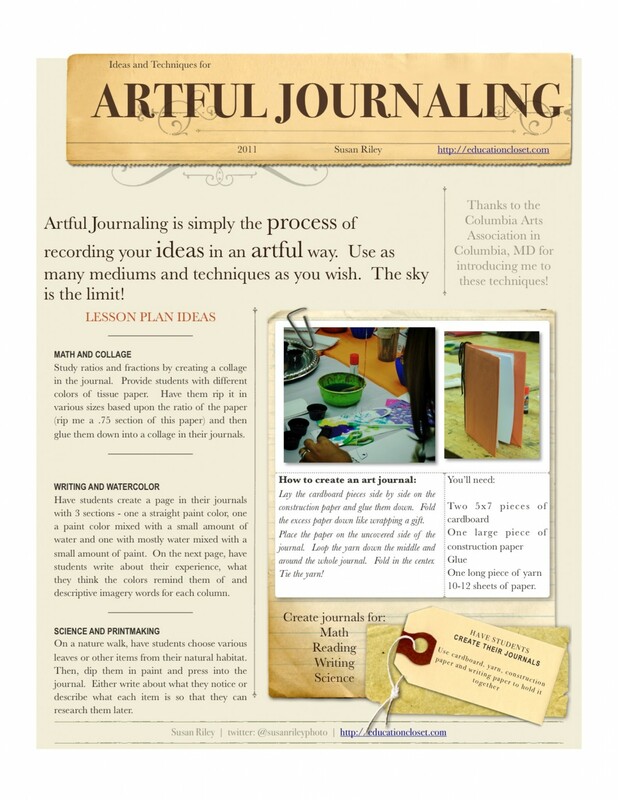 Q: What does the title "Art Journal Every Day" mean? A: I do my best to art journal every day. I encourage other people to do so -- just for ten minutes a day. The point is to be creative and steal a little bit of time just-for-you every single day. Q: What supplies do I need to get started? A: You don't "need" anything. A notebook, a pen, and something to color with is a great beginning. On a nature walk have students choose leaves or various other items from their natural habitat Then dip them in paint and press into the journal Then write about what they noticed or describe what each item is so they can research them later.